Louisiana is bayou country. 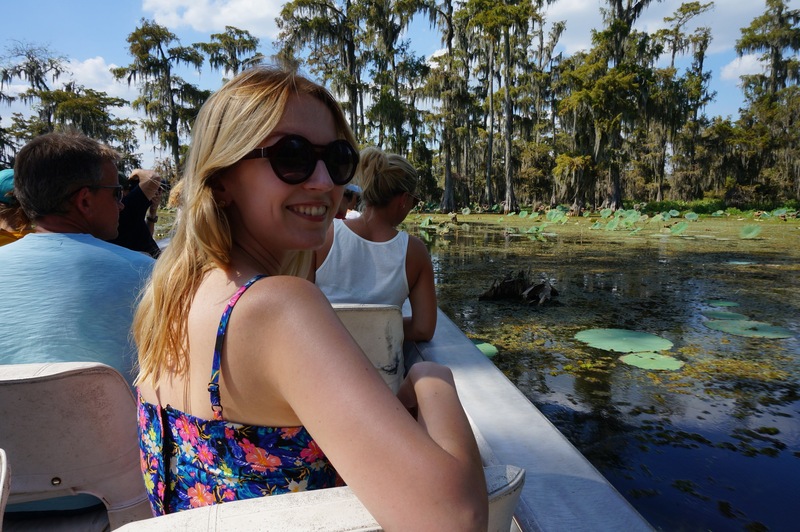 To see the swamp properly, and be in with a chance of spotting some alligators, we wanted to take a boat tour. We decided to stop at Lake Martin, Breaux Bridge, to break up our long drive to Austin. 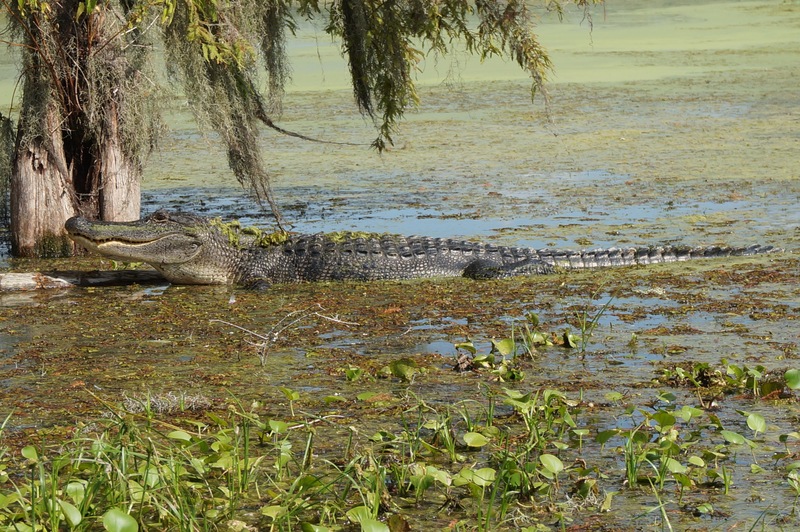 This area is known for having large alligators as the bayou is too small to hunt. 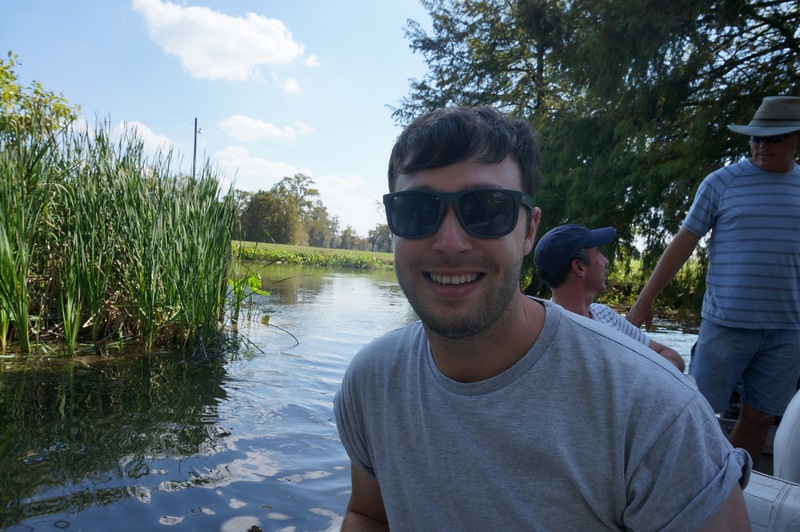 Our guide was Shawn from Cajun Country Swamp Tours; a local man who, along with his Dad, spends his days amongst the wildlife of the bayou and clearly loves every second of it. 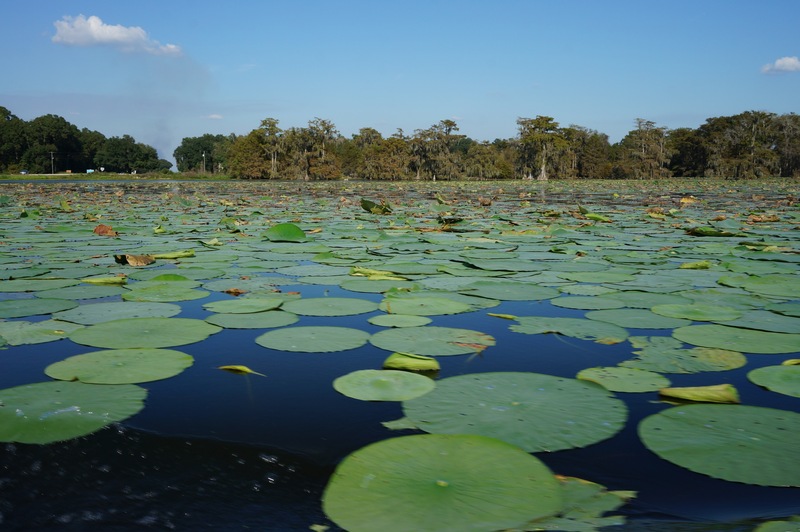 Shawn’s extensive knowledge of the lake and its ecosystem was amazing and the two hour trip whizzed by as we tried to take in all the information and keep our eye out for alligators at the same time. 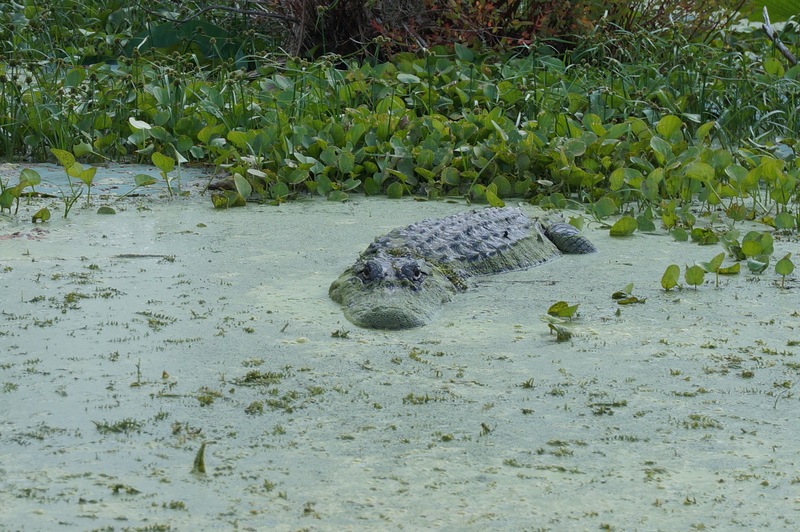 The metal boat was a bit precarious; every so often it hit branches or got caught up in weeds as the swamp is very shallow, forcing it to dip very close to the water; all good fun as long as you weren’t on the side closest to the gators! 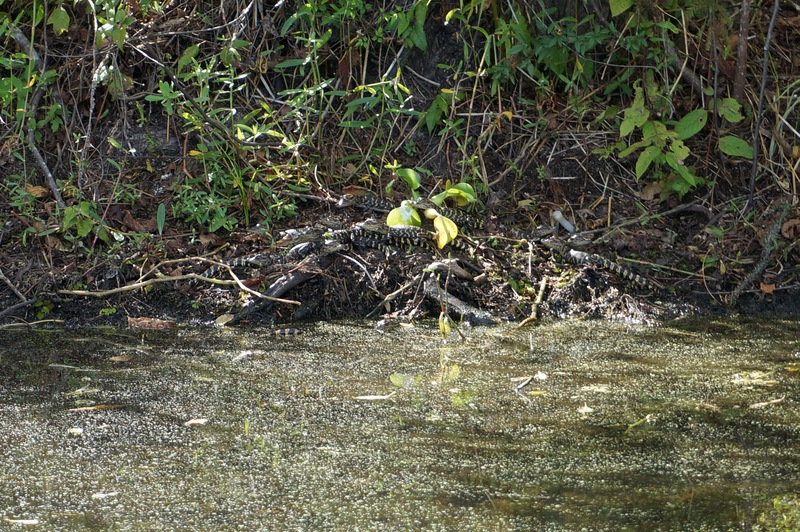 We were lucky enough to see a vast array of wildlife, including the all-important alligators from full-grown ten foot beasts to just hatched babies. We also saw lots of turtles, bald eagles, egrets, and at the end of our tour, an owl. An amazing end to our time in Louisiana.